For Dr. S. Shrinivasan and his wife Dr. Usha Shrinivasan, life could not get any better at this stage of their lives. 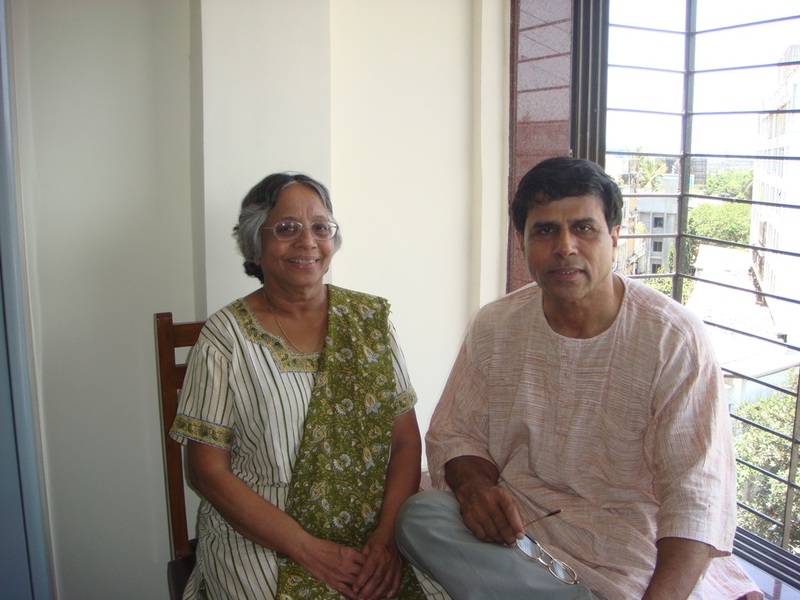 The 64-year old Dr. S. Shrinivasan and his wife want to make a small difference to the world around them. They have adopted the Khanavadi village in Purandar taluka of Pune district which is approximately 40 kilometres from Pune city. “We wanted to do something for society and we had two ways of doing it, either donating money or doing something ourselves,” says Dr. Usha Shrinivasan. “We could have done cheque book charity but we chose to do it ourselves as it was more fulfilling,” says Dr. S. Shrinivasan. Khanavadi is the birthplace of Mahatma Jyotiba Phule. The couple met years ago during their MBBS course at B. J. Medical College, Pune. Dr. S. Shrinivasan further went on to pursue the MD course in Pharmacology while Dr. Usha Shrinivasan pursued MD in Pathology. The need to do something worthwhile for those in need brought them together. “We have fulfilled our family commitments and our two children are well settled abroad with good jobs,” says Dr. Usha Shrinivasan. Dr. S. Shrinivasan took an early retirement from the post of Vice President at the pharmaceutical company Aventis in 1998 while Dr. Usha Shrinivasan who worked at Tata Memorial Hospital has set up her cancer diagnostic laboratory in their home at Bandra. In 2001, they set up the Shastri Memorial Foundation in memory of Dr. S. Shrinivasan’s father, Pandit K. A. S. Shrinivasan who was conferred the Rashtrapati Award for life-time contribution to Indian values in 1977. The couple spend their weekend at Khanavadi village working for the village. During the week, Dr. S. Shrinivasan receives honoraria for writing and editing medical journals. He also conducts seminars and workshops on education, healthcare and human values while Dr. Usha Shrinivasan attends to her laboratory. “We need to earn in order to sustain our organisation. My father always told me to think high and live simple. We live a very simple life and we do our own household chores as we do not have any maids working for us,” says Dr. S. Shrinivasan. The couple adopted Khanavadi village in January 2007. Prior to that, they have worked with several NGOs that worked in Kasara and in Raigad. Since then, the couple have set up an office at Khanavadi village and they provide uniforms, books, notebooks and other educational material to needy students. They also provide calcium and multivitamin tablets to needy women and children. In addition, Dr. Usha Shrinivasan talks to the women in the village about issue concerning women’s health. Dr. S. Shrninivasan is trained in Hindustani vocal music by Pandit Askaran Sharma and late Pandit Datta Kerkar. He has been an Aakashwani artiste for over three decades. He has now begun focussing on music as a tool for value based living through the lyrics of songs written by saints Tukaram and Dhyaneswar. Dr. S. Shrinivasan has also authored books such as ‘Value-based Wellness for the Service Sector executive’, ‘Value-based Management in the Indian context’ and ‘Health @ Your Finger Tips’. Nice to know about them i would like to personally congratulate dr usha as i am the sr pro of Tata Memorial Hospital amd am proud of such greats of our hospital. Hi,Kindly give the contact number or contact detail of the doctor couple…My number is 9819419471 and my email id is shalabhlko@gmail.comshalabh.friday@gmail.comThanks….